Rehabilitating and rehoming 500 - 600 dogs nationwide per year. Run by Marie, Dogs in Distress is based in Dunshaughlin, County Meath. Marie knows her pet food. 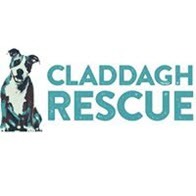 With a special love and interest in Staffordshire Terriers, Claddagh rescue operates nationwide. Run by the wonderful Rima, no dog is turned down. We aim to promote humane treatment of all animals, and a more compassionate society. We believe in educating young people about responsible pet ownership. The Galway SPCA rehabilitate rescued & abandoned animals, with the aim of rehoming to suitable forever homes which are carefully selected and closely monitored. Founded by Fiona Gammell in 2006, WAW rescue and rehome dogs and also help to educate Travellers on the health and welfare and of the animals in their care. A large network of volunteers whose mission is to rescue Cork's abandoned, abused and neglected dogs and using foster homes to re-home every dog that they rescue. Established 2012 in response to the ever-increasing number of unwanted, abandoned, neglected and abused Staffordshire Bull Terriers in need of help and re-homing. Relieving the suffering of dogs within the Staffordshire Moorlands and surrounding area via foster homes and other facilities prior to adoption homes being found. Sophie’s Dog Rescue Foster is a network of volunteers in Northern & Southern Ireland committed to finding dogs foster homes while waiting for adoption. 8 Below Husky Rescue is a registered charity in England and Wales who specialise in rescuing, rehabilitating and rehoming northern breed dogs and their crosses. Tibetal Mastiff Rescue UK is dedicated to the rescue, rehoming, rehabilitation & welfare of this wonderful loyal ancient breed. Run by a group of dedicated volunteers. Please note: Patron Pet Food is available to all animal charities based in Ireland, UK, France, Germany, Belgium and The Netherlands. If you don’t see your local rescue please get in touch and we will have their online shop ready in just 24 hours.